Every Christmas break, I visit my parents in the US. As soon as I arrive there, my father hands me the keys to his car, a Ford Mustang V6. This is my car every year end, and this is the car I\'ve been wanting Ford Group Philippines to launch in our market. My father got his Mustang brand-new in 2008 for about $21,000 (under Ford\'s employee-pricing promo at the time). That\'s roughly P900,000. Even at P2 million, I thought, this car would sell like hotcakes in the Philippines. But I knew that kind of pricing was never going to happen, what with our steep taxation and all. And if Ford wouldn\'t be able to price this car competitively in our market, they might as well forget bringing it in altogether--if indeed they had any plans of bringing it in. In late 2010, I got a solid tip that Ford was seriously mulling over the possibility of introducing the Mustang here, if only to serve as a halo car that would drive traffic to the showroom. It seemed ridiculous at the time. And the fact that FGP executives chose to remain tight-lipped whenever asked to verify the story, didn\'t boost the credibility of my scoop. Months passed and the buzz just wouldn\'t die. \"The Mustang is coming,\" we were repeatedly assured by various (and reliable) sources. FGP, however, couldn\'t officially confirm it. In hindsight, the situation probably looked like this: FGP was eager to sell the Mustang here but the company also had to be sure that it could price the car reasonably (read: at least on a par with the gray market). Until they could satisfy that second part of the equation, the Mustang was a no-go proposition. Well, here we are now. Today, Ford is formally launching the 2013 Mustang to the Philippine market. And you know why? Because Ford was finally able to price its iconic coupe so competitively low. How low? 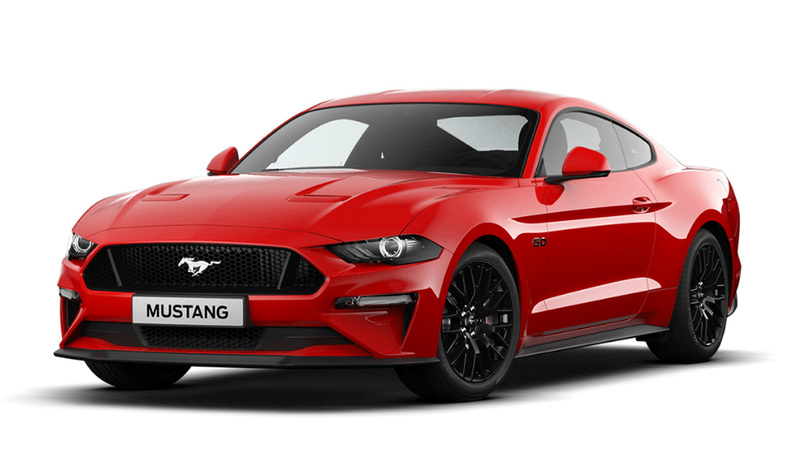 I have it on good authority that Ford has managed to price the Mustang--drum roll, please--P2,499,000 for the V6 Premium and P2,899,000 for the GT Premium. The former is powered by a 3.7-liter DOHC Ti-VCT V6 gasoline engine (RON 91) rated at 305hp and 380Nm, while the latter is equipped with a 5.0-liter DOHC Ti-VCT V8 gasoline engine (RON 95) rated at 420hp and 529Nm. Both variants come standard with a six-speed automatic transmission with Select Shift function. I imagine gray-market vendors who have been making a killing with the Mustang, now cursing to high heavens. I don\'t know how they will be able to match FGP\'s pricing. For the record, the going rate for the Mustang V6 (yes, just the V6) on the gray market is around P3.2 million. Game over. Unless, of course, those independent sellers can find a way to undercut FGP\'s irresistible offer. Which I doubt. When I commended one FGP executive about this excellent pricing of the Mustang, he said: \"We actually want people driving it and not just looking at it at motor shows.\"
Unique body color for the Mustang V6 Premium is Sterling Gray Metallic. Unique body colors for the Mustang GT Premium are Deep Impact Blue Metallic and Black. Common to both variants are Performance White and Race Red. Now, can you say, \"bang for the buck\"? Let me leave you with this short teaser video, which we produced when Ford lent us the Mustang GT Premium last week. Expect to be very tempted after the clip.